On premise intranet solution for the IT manager looking for a SharePoint alternative. You can pay by credit card or bank transfer. Our payment process is securely handled by Avangate. When I purchase, will you help me reset my test installation or do I have to perform a new installation? We can always help you reset your test installation if you want. Do you help with active directory installation? Precurio is an open platform, so source code is provided and you are able to fully customize. What is the maximum number of users supported on Precurio? Our biggest customer has 4,000 users. Though number of users is mostly dependent on your server infrastructure. Can we have the intranet in our company colors/brand? Yes. There is no limit to the level of customizations you can do on Precurio, including branding. Yes. One of the best ways to supercharge your intranet is by adding “features” or “apps” with direct business benefits. We can help you deliver on this, quickly and on budget. Are we able to purchase additional users later? Yes, we have a 20 users license bundle for just this purpose, which sells at an extra $250 per annum. More questions about pricing or your requirements? 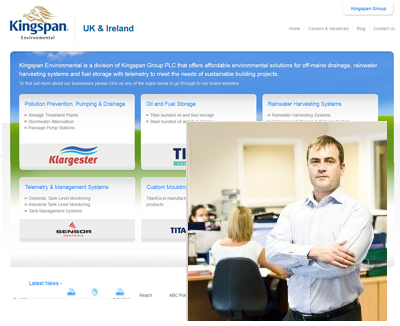 “We needed an intranet solution quickly to achieve a specific internal marketing objective. We had no in-house web development skills and needed a packaged solution that wouldn’t cost much. Precurio seemed like a good fit, so we gave it a try. It was simple to setup and the support was great. Any difficulties were resolved very quickly by email support. Integrating with Microsoft Active Directory made it much simpler to deploy than having to create new user ID’s for everyone. Which was great! Simple, Affordable and Open. That’s what makes us the intranet choice of small and medium sized companies everywhere. From easy to use collaboration and content management tools, to business automation and forms approval features, Precurio is the perfect blend of excellent quality and price. Combined with our swift technical support and services, it is easy to see why Precurio is becoming the Intranet of choice for IT managers.